Choosing colors for your wedding will help bring out your personality for your special day, but deciding which colors to use can be a headache because there are SO many options! 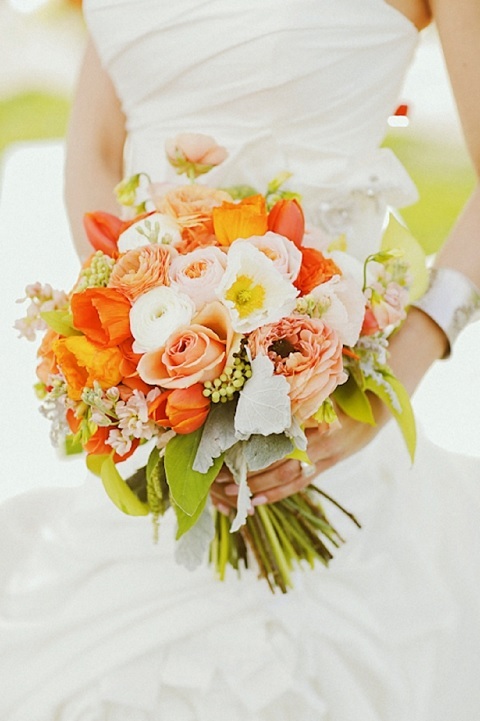 Our wedding experts have chosen their top picks for spring 2015 wedding colors! 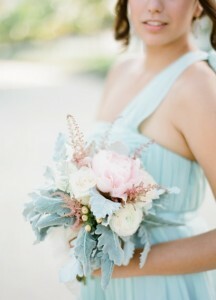 Aquamarine – We think this color would look great for a beach wedding. 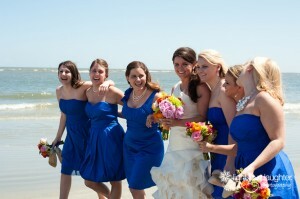 Complimenting the colors of the sand, it is a flattering color on most skin tones. 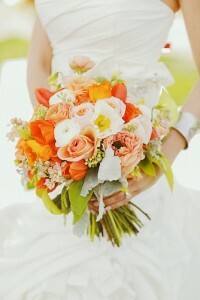 Tangerine – Add a pop of color to your bouquet with bright flowers! 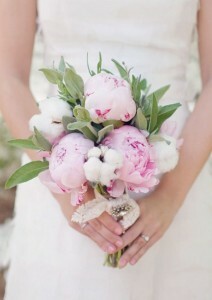 Adding a few bright colors into the mix will make the bouquet uniquely you! 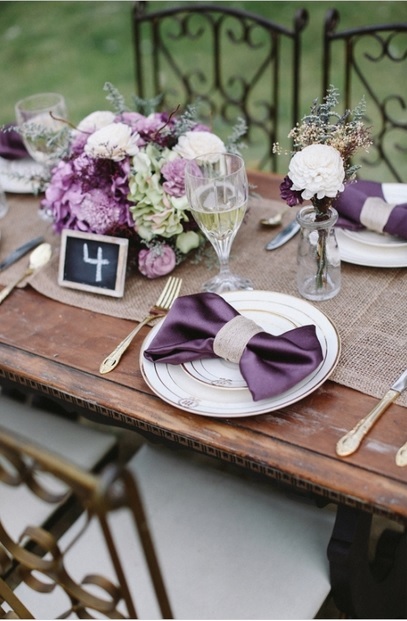 Purple – A timeless, classic, and we think a rather “royal” color; there are so many different ways to use purple in your wedding. We love the idea of different shades/flowers on the table at the reception combined with purple napkins to tie it all together. 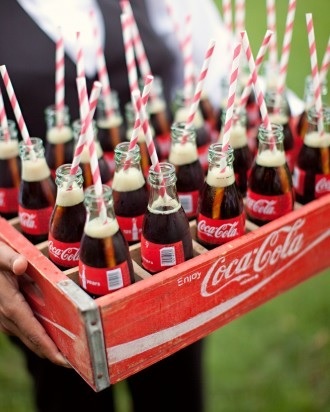 No matter which colors you choose, we know your wedding will be one of the most beautiful days in your life! 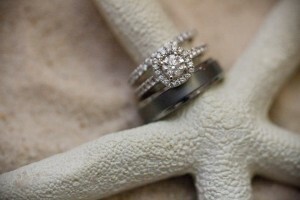 For more information about planning your wedding, visit our website. Perfect Day to Become a Bride to Be!! Was today the day? Did he choose the most romantic day of the year to tell you he wanted to spend the rest of his life with you? Congratulations! So you’ve called your parents and all your friends, posted pictures on Facebook, and told pretty much everybody who’ll listen: “I’m getting married!” Now it’s time to plan. Deciding on the perfect place for your happily ever after to begin is certainly a daunting task, with which we are glad to help. We are going to let the pictures tell the story… Then, give Ruth and Scarlett a call at The King and Prince Beach & Golf Resort and start planning the destination beach wedding of your dreams! 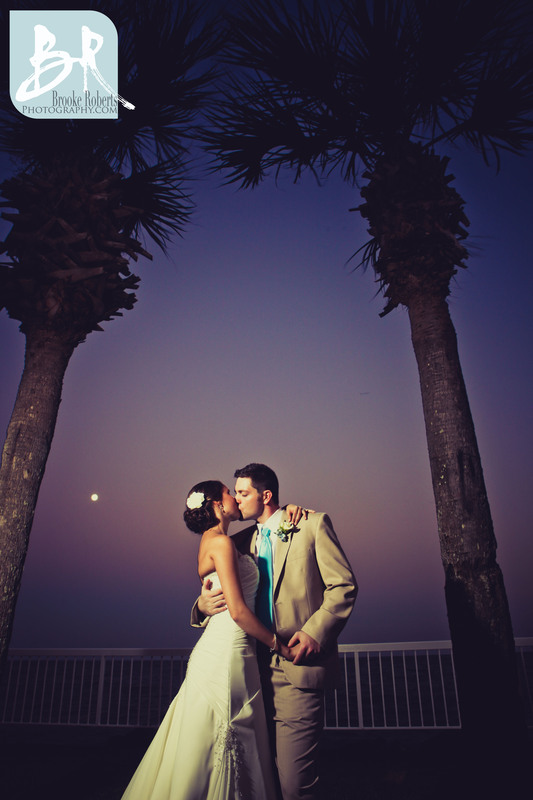 From more weddings pictures at The King and Prince Resort, visit our wedding gallery! 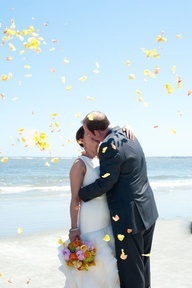 Tags: Destination Weddings, Georgia Weddings, St. Simons Island Weddings, Why Choose a Destination Wedding? 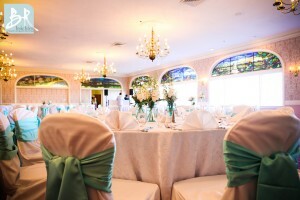 Destination Weddings at The King and Prince! 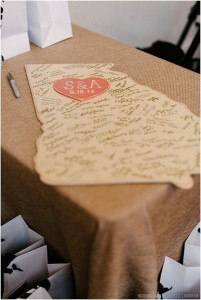 Looking for that perfect destination wedding venue? 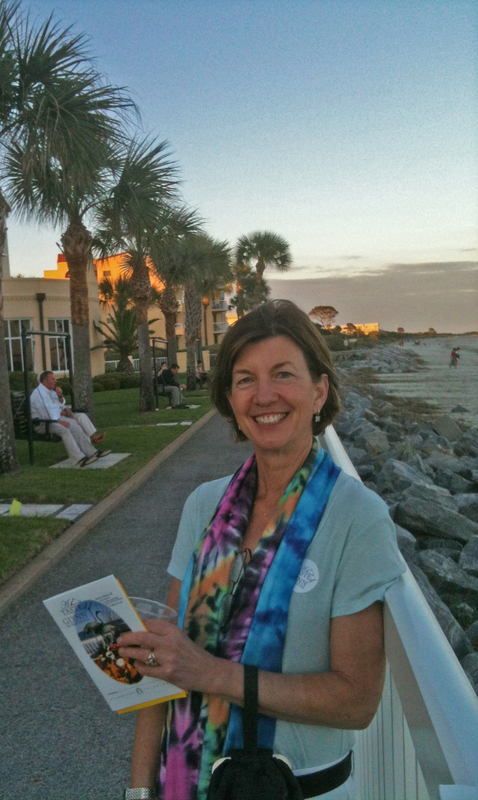 Come here, under the St. Simons sun, and create an event to draw together your closest family and dearest friends, changing lives forever. Whether that means a gang of four – or 300 of your most cherished soul mates The King and Prince Resort is perfectly scaled to frame your wedding in a way that will create memories for years to come. Consider this: a ceremony or reception on the oceanfront lawn for 300. A banquet in the Lanier Ballroom for 280. 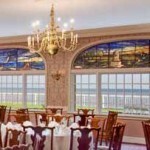 Brunch in the historic, ocean-limned Delegal Room for 200. Envisioning a more intimate scale? 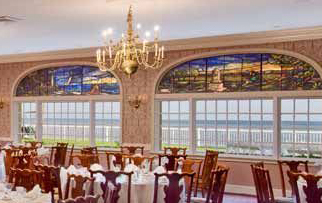 Imagine your event in the Retreat Room or Solarium with panoramic views of the Atlantic. 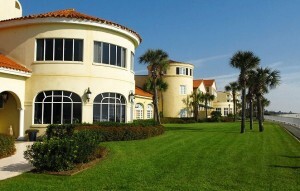 Or head out to the Ocean Terrace Grill for a relaxed venue and refreshments. Then again, there’s always the balcony on your oceanfront room: A bottle of champagne, room service, and thou! 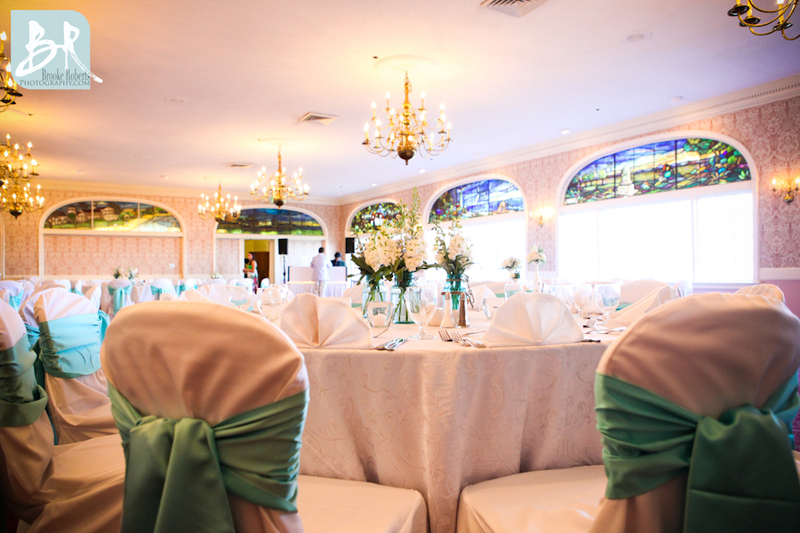 Click here to view photos from real weddings at The King and Prince! Tags: Destination Beach Wedding, Destination Weddings, Georgia Weddings, St. Simons Island Weddings, Why Choose a Destination Wedding? ‘Tis the season for all things spooky and scary right about now. And let’s face it, planning any wedding can sometimes generate a few shades of the macabre. 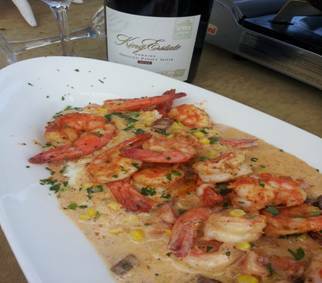 Why not face the demons head on and schedule a “Ghost Walk of St. Simons” tour one enchanted evening with your resort wedding guests? After all, Coastal Living ranks the St. Simons lighthouse as one of the Top Ten Haunted Lighthouses in the US. You’ll walk in the footsteps of the past, learn a little local history……..and it’s dog- and kid-friendly. Your guests will love it – and you for daring to diverge from the beaten path. Then, the next day as you lounge on the beach or in one of the King and Prince’s six swimming pools, you might just feel a little more connected to the sights and sounds of this very special beach wedding resort. 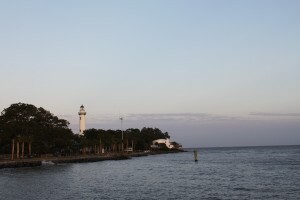 Tags: georgia ghost tours, Georgia Weddings, ghost walk, Haunted Lighthouse, St Simons Island Lighthouse, Why Choose a Destination Wedding? 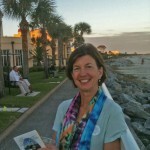 I’m Nancy Krabill, a local with my own trove of King and Prince memories, but more about that later. For the next few weeks, I’ll be sending you real-time blasts that only an insider can share with brides-to-be considering their all-important wedding resort venue. 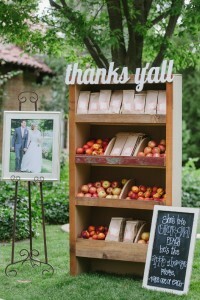 After all, the destination itself is a key star in your wedding event. You’ll want one that needs no rehearsal: not just another pretty backdrop but one with a real sense of place, time and culture. 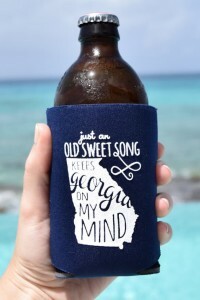 If this beach in Georgia sounds just peachy to you, come back here for a visit as we explore the history and charm not only of the resort, but also of its surroundings, cuisine, local characters, outdoor activities, and of course, shopping opportunities.